Perhaps the main benefit of an electric toothbrush is the consistent power delivery, the type of brushing a person needs to reduce tooth decay and improve gum health in the process. A decent electric toothbrush can help eliminate bad breath and drastically shorten the time it would otherwise take you to brush your teeth with a traditional toothbrush. With the children’s version, you should also consider how easy they are to operate and whether your kids can handle them in a safe and efficient manner. 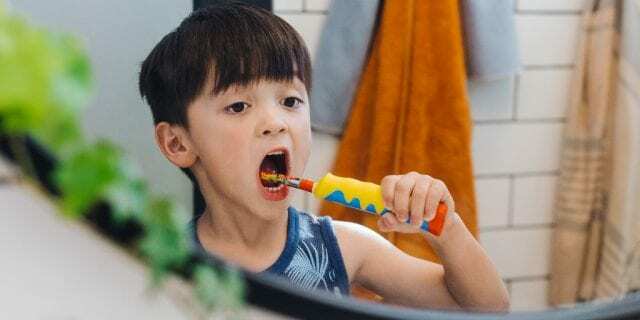 To give you some pointers in that regard, we put together a list of the ten best electric toothbrushes for kids the market has to offer at this point in time. Equipped with the latest sonic technology, the Joykey Kids Electric Toothbrush features a 9,000/mm of micro-acoustic vibration frequency that aims at thoroughly cleaning the teeth and gums. Thanks to its robust, water-resistant handle that is completely sealed, it is uniquely crafted to prevent any water from seeping in, adding to a longer life and durability. Its small brush head helps to penetrate into hard to reach areas with ease, while effectively cleaning your child’s teeth. Offering optimum protection along with a fairly long battery life, this compact sized, lightweight toothbrush saves energy and is entirely eco-friendly. Known for its premium quality and excellent results, the Phresh Electric Toothbrush for Kids is a high-end oral care product equipped with some pretty great features. 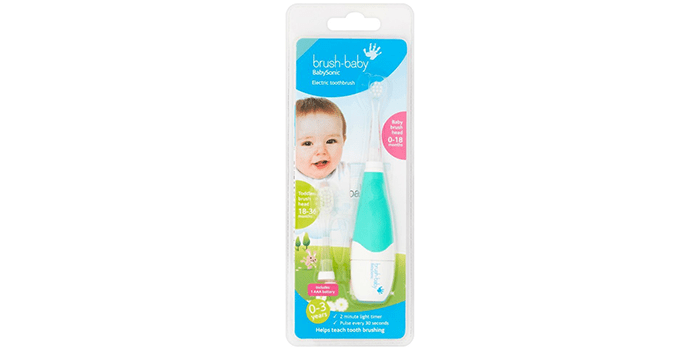 Crafted with a small-sized brush head, it fits into your baby’s mouth with ease, without causing any discomfort. Equipped with soft, flexible bristles, it gently cleans the teeth and gums with care. Thanks to its lightweight contoured handle, it provides a good grip and hold and is sturdy. Featuring 2 brushing modes that include a regular mode which produces 11,000 brush strokes per minute and a sensitive mode which produces 7,000 strokes per minute, it comes with a 2-minute convenient timer. 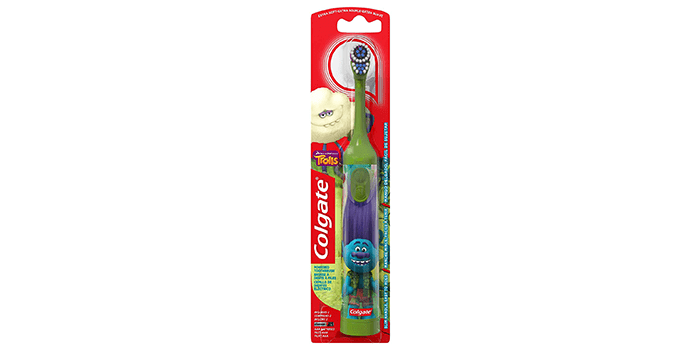 Crafted with soft, round, flexible bristles, Colgate’s Kids Battery Powered Toothbrush features a cute emoji pattern that is great for kids. Equipped with a screw-locked battery compartment, it is safe for children. 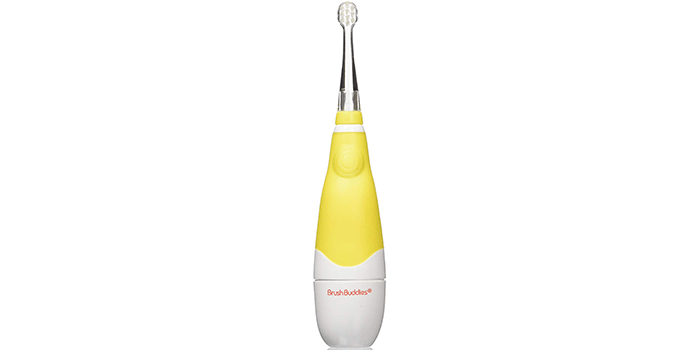 Powered by a single AAA battery that comes with the toothbrush, it should be utilized twice a day for best results. Including a detachable brush head which should be replaced every 3 months, this toothbrush is the ideal solution for clean hygienic teeth. Uniquely designed for toddlers, the Nuby Electric Toothbrush with Animal Character plays music while your child brushes their teeth, making the experience fun and exciting. 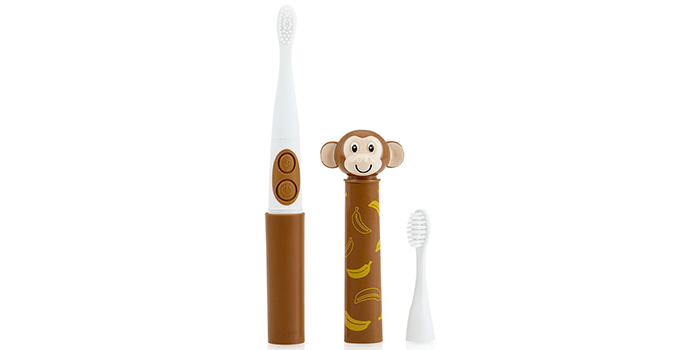 Thanks to its special vibrating mechanism, it helps to clean your child’s teeth effectively, without harming the gums. This toothbrush also comes with two additional accessories which include two brush heads for two cleaning stages, a gum massaging tool, and a cover to keep it clean and hygienic. Thanks to the extra soft, rounded, flexible bristles on the Soniclean Baby Teething Toothbrush by Brush Buddies, it helps to protect the enamel on your child’s teeth in a very effective manner. Crafted from high quality, durable materials, it is safe for your child and free from BPA. For toddlers above 6 months of age, it is recommended that you should brush their teeth twice a day for up to 2 minutes. With mild vibrations, this toothbrush gently massages your toddler’s teeth and gums, ensuring they are relieved off all discomfort and pain especially while teething. Another standout feature of this toothbrush is its light on the brush head that turns on while brushing, to help parents get a good view of their baby’s mouth. 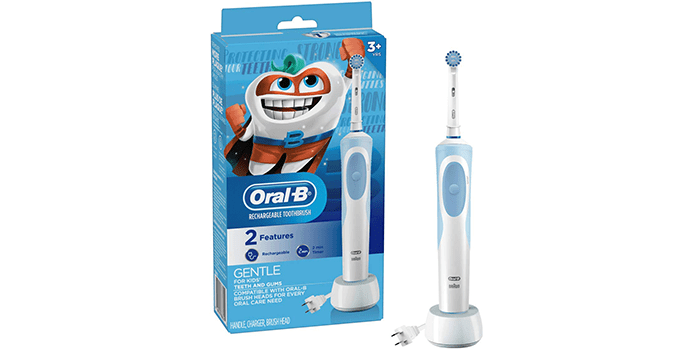 The Arm & Hammer Kid’s Spin-brush Powered Toothbrush is a premium quality toothbrush that promotes healthy teeth and gums and helps improve dental hygiene. Compared to standard electric toothbrushes, this Spin-brush battery-powered toothbrush is utilized 38% longer by children, owing to its functionality and features. Featuring durable lower bristles that are fixed, it comes with oscillating upper bristles that help clean the teeth effectively. Crafted and constructed with heavy-duty materials, it features a contoured design that offers a good, comfortable grip. Equipped with a rechargeable, sturdy handle, a heavy-duty flexible brush head, and a charging unit, the Oral-b Kids Electric Toothbrush is a premium grade product designed especially for teeth and gum care. The round soft bristles rotate at gentle speeds to help with maximum cleaning of teeth and gums and remove all traces of plaque with every use. Thanks to its inbuilt 2-minute timer feature in its handle, it ensures your child brushes their teeth for 2 full minutes. The brush handle is also compatible with a wide range of brush heads of the same brand that cater to various oral-care needs. Thanks to its heavy-duty, rotating powerful brush head, the Oral-B Kids Battery Power Toothbrush reaches and thoroughly cleans the teeth and all areas surrounding the gums. Including center-brow, soft bristles that are raised, it helps in cleaning chewing surfaces gently and with ease. 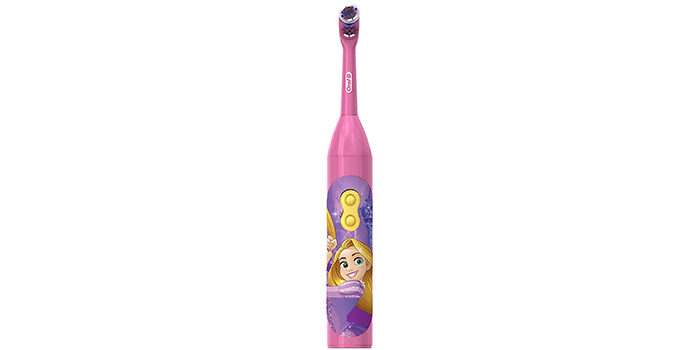 To enhance your child’s brushing experience, this brush comes with a colorful Disney Princess Character that makes it even more fun to use. Crafted to perfection, the Brush-Baby BabySonic Electric Toothbrush is one among the best oral care products for your toddler. Powered by an AAA battery, this toothbrush produces soft sonic vibrations that aim thoroughly clean your baby’s teeth without causing any discomfort to the gums. Including 2 brush heads that are small in size, it features soft, flexible bristles that are gentle on the teeth and gums. Designed for babies from 0-3 years of age, this toothbrush comes with a 2 minute light timer and a pulse alert for good measure. 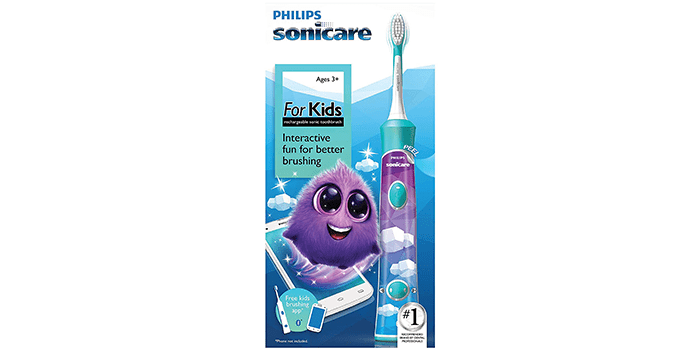 Unlike any other of its kind, the Philips Sonicare for Kids Electric Toothbrush comes with an exciting interactive app that educates your child about the benefits of brushing and maintaining oral hygiene. 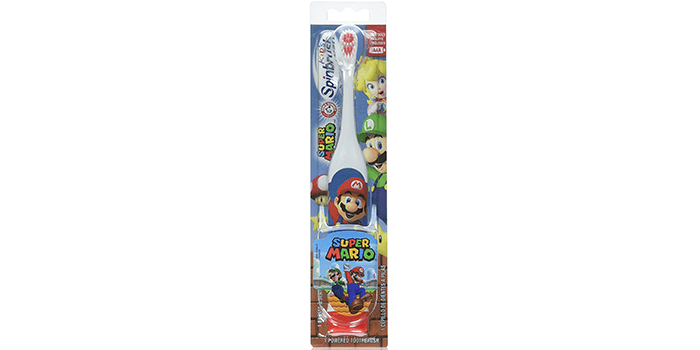 Highly recommended by dental experts worldwide, this toothbrush features a speed of up to 62,000 brush movements every minute, providing your child with fresh, clean teeth and gums. Thanks to its patented sonic technology, it offers up to 500 brush strokes every second and is up to 75% more effective than other brushes. 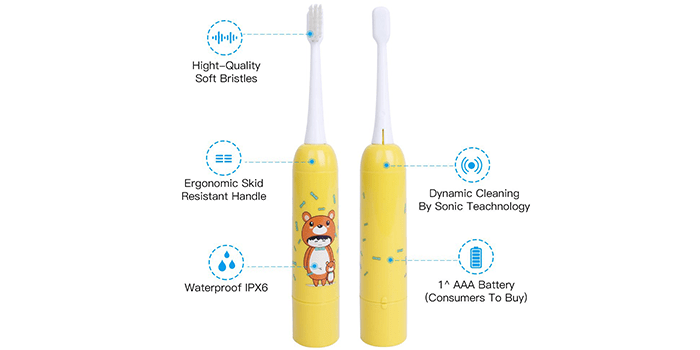 It also features a 2-minute KidTimer that ensures your child brushes through the entire two minutes, along with a KidPacer which notifies the child to move onto the next area of the mouth.